Prof. Vershun McClain walks participants through designing, implementing and revising online courses. Based on her thoughtful and innovative teaching, Dr. McClain was chosen by her dean to represent the College of Business in the Teaching Tuesdays Faculty Spotlight. In a world where everyone is a photographer and images are quickly made and quickly forgotten, how do we help students cultivate their observation skills, discernment and appreciation for craft? Prof. Mark Geil discusses two assignments he uses that were inspired by William Eggleston's concept of photographing democratically. This is the inaugural talk for the Teaching Tuesdays Faculty Spotlight Series. (Recorded September 20, 2016). Dr. Thomas Calhoun, Associate Vice President for Academic Affairs, gives an overview of procedures, timelines and expectations for tenure and promotion at JSU. Following him are insights from Dr. Farshad Amini, Professor and Chair in the Department of Civil & Environmental Engineering; Dr. Pamela Banks, Professor and Chair in the Department of Psychology; and Dr. Joan Wesley, Associate Professor in the Department of Urban & Regional Planning. Recorded September 8, 2016. Audio: Undergraduate Research: Does the Mentor Matter? 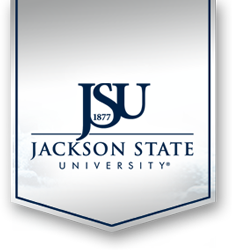 Jackson State University presented the inaugural Adjunct Faculty Orientation on September 9, 2015. Audio from the day and evening sessions is available below. Click here for presentation slides from the Adjunct Faculty Orientation and the New Faculty Orientation (August 17, 2015) and resources for faculty links. On February 5, 2015, the Center hosted a workshop to introduce the research support services available to faculty. In the file below, are the audio from three components: Grants and Contracts, Sponsored Programs and IRB.